Ecclesiastes 4:9 'Two are Better Than One' is part of a larger expository study on Ecclesiastes 4:9-12 which shows what Solomon meant by 'the two are better than one' and apply it to two situations: marriage and the church. “Two are better than one because they have a good return for their labor” (Ecclesiastes 4:9). Now let us take a close look at what is said here in Ecclesiastics 4:9. We should caution ourselves from making a quick interpretation of this verse. The three ‘if’ clauses of Ecclesiastes 4:10-12 shows that he is not simply stating that having two of something is better than having one. We all know this. Two hundred dollars is better than one hundred. Two televisions is better than one. He had hundreds of concubines, many stables with the best horses, many wives, lots of pieces of gold. He is not speaking of the number of possessions or even the number of people he had around him. He had these. In the midst of his pursuits, he found that he did not have quality relationships with the few around him. This is what he missed despite the many projects he completed. The ‘two’ speaks not just of a couple such as a married couple but of a relationship between individuals. Two is the minimum number needed for this relationship and so it is used to describe what Solomon is speaking of. Solomon, essentially, was denouncing the value of getting what he wanted in life with disregard of those around him. He pursued his life rather than God’s will. Yes, no doubt, he like many of us would say, that degree, that life, that goal is God’s will. I would like to suggest that when it has that somewhat hidden independent spirit, then it no longer can be God’s goal. This does not mean that it might be a special burden or vision that God has given to us. Each person has a special task that God had for him or her alone, but the question is whether the individual would compromise God’s ways to get what they think God wanted. Abraham had a worthy goal of being a great father for God, but his compromise and reliance on his own resources made his sexual intimacy with Hagar turned it not into God’s will. Do people do things in unloving ways to get their task accomplished? All the time. The world has tried to take advantage of this concept by developing teams. They see value in it. That is because it is truth taught by the Word of God, “Two are better than one.” When anyone utilizes this truth, they will be blessed. Let me ask you what is the difference between a team and a group of people? They might both have two or five people, but they are very different. Solomon is speaking of that synergy of spirit that happens when people are living with the same common purpose. The word ‘synergy’ is made up of two Greek words meaning ‘work together.’ They are not living in that context for themselves but for the good of the whole. Of course, just stating that a group is a team helps but does not, in and of itself, create a good working team. Each individual needs not only to be committed to the joint task but also to that of working with and valuing the contributions of others. Sometimes the pull of success helps people overcome their selfish goals, but the real attitudes needed to fuel a team is Christ’s Spirit. The divine Godhead is the greatest team. God has brought this team concept, the synergy of spirit, into two particular institutions that stand foundational for human civilization: marriage and the church. Behind the family concept, is the “two are one” concept of marriage. The husband and wife are two distinct people with their own wills and desires, but in marriage a special synergy takes place that creates more than what they would each have by themselves. Jesus said, “The two shall become one flesh;consequently they are no longer two, but one flesh” (Mark 10:8). The question is whether the couple live as one. Allow me to ask a few questions on husband and wife relationships. How important is your wife’s perspective on things? Do you share with your wife? If not, why? Do you as husband understand that God often tries to help your through your wife? Do you the wife submit yourself to your husband? Why or why not? 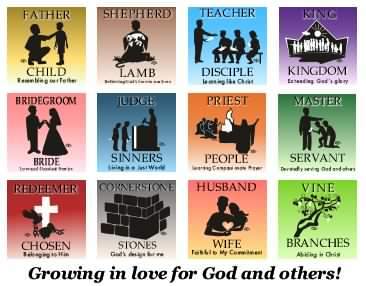 Behind the church concept, we have “many are one” concept. We believe that more good can come from many of us working interdependently rather than a number of uncoordinated and uncommitted individuals. Task masters get this done by authority and threat. How else was the Great Wall built? But the church is dependent on volunteers. Each person must be convinced of their part in the whole or the church will be weak. When this perspective of God’s truth becomes established in our lives, then the church is strong. The members sincerely care about the others. If church leaders do not have this concept well defined in their soul, then they will, despite all the team talk, act selfishly, independently and hurt each other. Did you ever realize that this synergistic spirit was behind the way Jesus raised up a team. He knew more could be done with them than without them. The process, the love, the forgiving, the differences would all become something that needed to be endured so that the great love and power of God would be seen. The same is with the church. Behind great leadership training is the concept that others have an important contribution to the task. We might not know how, but we trust God, maintain that relationship and continue on in hope. Look at the Word of God. “Do you not know that you are a temple of God, and that the Spirit of God dwells in you? If any man destroys the temple of God, God will destroy him, for the temple of God is holy, and that is what you are” (1 Corinthians 3:16-17). Solomon says that when two or more work together for a common purpose that they will have good return for their labor. I do not know if he is suggesting instant success here, but he is saying in a general way, that things work out much better if you do it observing God’s mysterious way. Just as in a marriage, fruit comes from working close together whether it is in the family or in the church. Let me give you an example of this. One brother, not from here, is involved in a startup company. He has invested a lot in the company. He is in fact the CEO. He has employed a number of people. When the startup was in a very shaky way, he realized that there was not enough money for everybody’s salary. Now as the CEO, he should get the first pickings, but he decided he would lead as a servant-leader. He didn’t use this word but this is what he was doing. He gave others their salary but did not take one himself. This went against what he liked, but he chose to live for all rather than live for self. He humbled himself and by doing so prospered the others. He could have just fired a couple or lessened their salary. He chose to sacrifice his own. What was he doing? He valued the livelihood of the others more than his own. The Lord then used this tight time to reveal His love through this CEO and test and train the CEO. He later told me that about six months later, God turned things around and things prospered. Here is a man who is trying to practice his faith in real life. Does God care about startups? Yes and no. Is He concerned with how the people in the startup work together? He sure is! It is the same as other areas of our lives. Each becomes a setting for a person’s choices. This CEO made his choices. He will, like us, have many more choices in the future to affirm this truth. We can be confident that it is always better to care about others than simply trying to get what one can from life. Something better will happen. A greater reward will come from the hard work. This verse becomes a promise to inspire hope and encourage us to make the right decisions in life. I have made some decisions as a worker and father. Let me share one. I take time aside each day to train my children in God’s ways. We have a worship time each day. I could easily say that the more I work, the better the results. But I have allowed other values to shape my thinking. God has commanded fathers to bring up their children in the Lord. I am unwilling to compromise on one thing in order to obtain what I think is best. My pursuit of excellent service is shaped by concern for those around me. When I value those around me, I pay attention to them as God desires. This truth, then, shapes the way I do something. When I am faithful, I trust God to prosper me otherwise. I need not fear. Somehow a greater return will come from the situationeven if it takes a miracle. A number of people in the last few months have commented on how much quality material has been produced at BFF. I don’t know how it happened either. When you do things God’s ways, he brings about a good return. We can trust Him even if we do not see it right away. We find that if we value those around us, they and their welfare become important as our end goals. We are willing to make sacrifices to our great pursuits of life for our spouse, our children, for others. It might look like a foolish decision, but in the end we are putting our faith in God that it will turn out better. We allow the close cooperation of others because we believe there is greater good that can come out of it. That CEO in the end not only got his salary, but befriended those he worked with. He showed the Spirit of Christ right in his situation. The pressures and risks in a startup are many, but in the end we must remember it is just another place God wants to make himself known. The Christian must live by faith in God’s promises. Let’s take a lookat the next section on Ecclesiastes 4:10-12. Below is a discipleship training course designed to build relationships. Click any of the pictures to go to the Cross Training series. oftentimes, as in this article, in powerpoint too. All on one BFF Biblical Training Library!